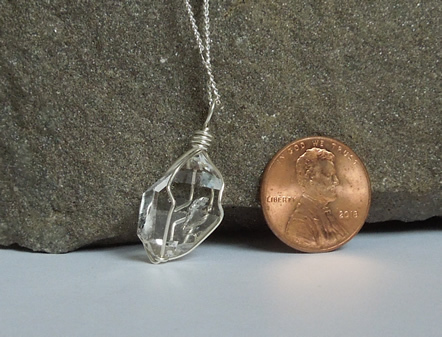 Notes: A water clear, double terminated natural, or raw, Herkimer Diamond crystal pendant. 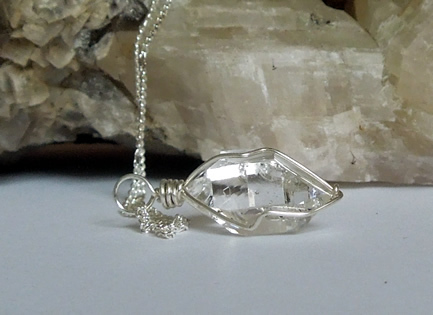 The quartz crystal is sized at 19.5x13.5x10 mm / 15.5 ct. As with all quality Herks, there are 18 natural facets (faces) and sharp double termination points. 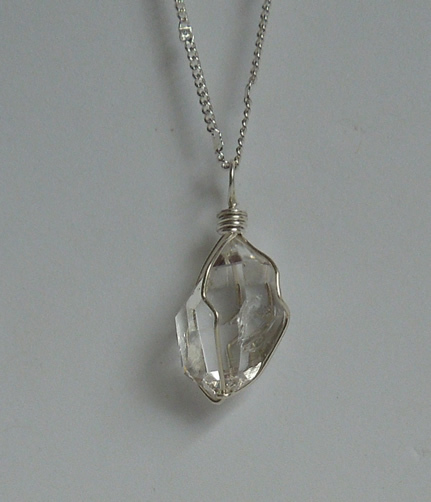 A clear growth mark adds interest and authenticity and in no way deters from it's quality. 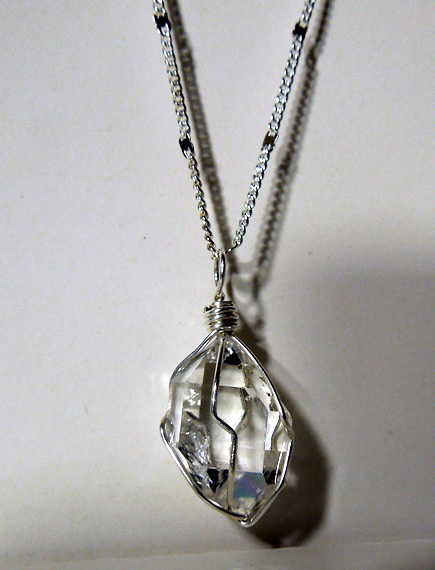 It strikes an occassional rainbow. 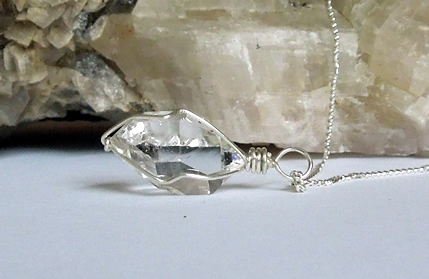 This lovely Herkimer Diamond crystal is wrapped in fine sterling silver wire. 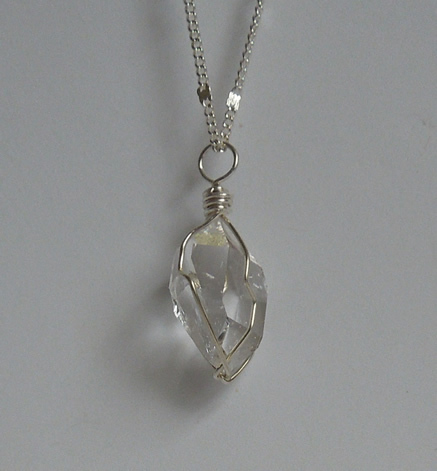 The pendant hangs from a decorative 18" silver plated chain. 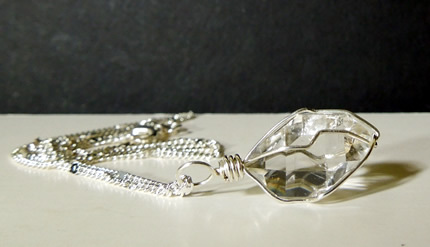 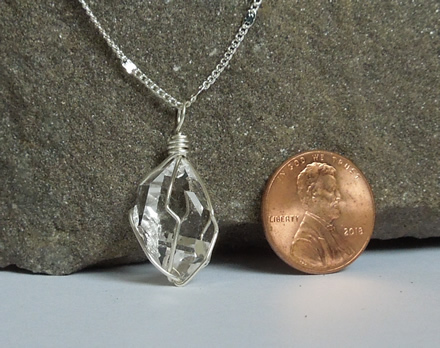 Photos of a natural and clear Herkimer Diamond crystal pendant.